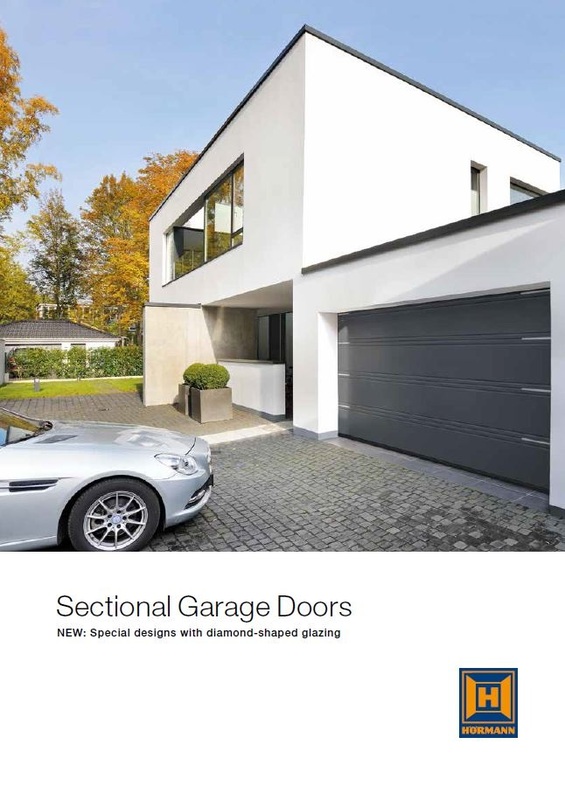 Garage Doors | Lymer Doors Ltd. Here at Lymer Doors we fulfill the needs of our customers by providing a first class service. We undertake many bespoke installations, if there is a garage door you had in mind, we can meet your expectations and demands. Below are many of the products we have to offer you and any additional requirements needed we can meet them also. 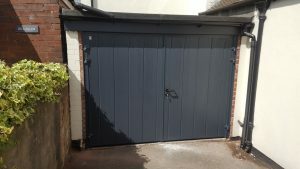 With a reputation, and installation teams to be envious of, all employed by Lymer Doors Ltd we never use subcontractors for installation unlike a lot of other companies We are a family run business that can deliver. 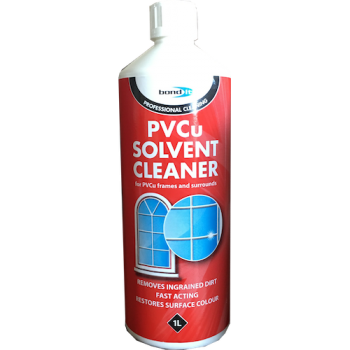 Having over 20 years experience in the buisiness shows that our after sales and cusomer care is second to none and have a proven track record of supplying high quality products to thousands of satisfied customers throughout the United Kingdom. 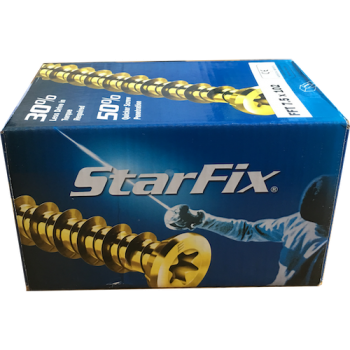 Please look at some of our testimonials here. We do a great job, no matter how big or small the job is. Click on the image below to watch a time lapse of a lintel job we did. 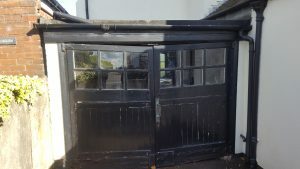 A canopy door is an up-and-over door and as it's name suggests, it moves up to the top frame, but leaves a section of the door outside creating a canopy. This type of door is useful where interior roof space is limited say due to light fittings or other obstructions. A retractable door is also known as an up-and-over door, however this time all of the door retracts into the garage leaving non of the door out side. A roller door is constructed of narrow slats that allow it to be fully rolled up into the roof space above the door opening. This type of door can be insulated especially useful if the garage is integral or has accommodation above the garage. 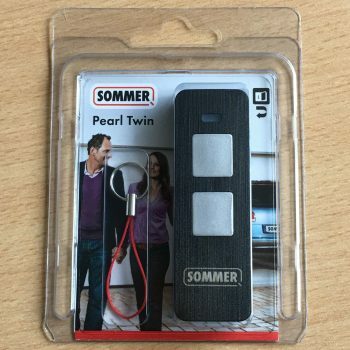 These doors can be manual or motorised with a remote control. Sectional doors are made up usually of four hinged sections. These are motorised and retract up into the roof space of the garage. Again, can be insulated to a high degree to prevent heat loss. Side hung doors are usually a pair of hindged doors that can come in a variety of materials – timber, steel, GRP etc. Also, they can have two different width doors if access is an issue. Space is required at the front of the garage to allow the doors to open.